Barker, Beck, Collins & Kronauge Agency – All the Best Insurers Under One Roof. All the Best Insurers Under One Roof. Founded in 1923, Barker, Beck, Collins & Kronauge Agency is an Ohio insurance agency with strong roots in the Miami Valley area of the Buckeye State. A large portion of our success as a company hinges on repeat business and the willingness of our customers to refer us to their friends and family – our ability to please our clientele is what has kept our doors open for so many years. Not only have we remained in business, but we are one of Dayton’s fastest growing agencies. 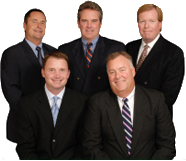 At Barker, Beck, Collins & Kronauge Agency we offer a complete line of insurance and financial services in Ohio. Whether you require life insurance in Ohio or general liability insurance in Ohio, our experienced staff will guide you through the complexities in a clear, concise manner. For nearly a century we have provided our neighbors throughout Ohio with quality insurance services and as an independent Ohio insurance agency we have the flexibility to shop our book of carriers in order to find you the coverage you require at a price you can afford. Don’t you want to work with an Ohio insurance agency that will work hard to earn and retain your business? By effectively organizing your coverage, we at Barker, Beck, Collins & Kronauge Agency deliver some of the best values for your insurance dollar. Regardless of the insurance you need, your first and only call should be to BBC&K. We look forward to serving your insurance and financial needs. Call 937-436-3030 and come see us today!